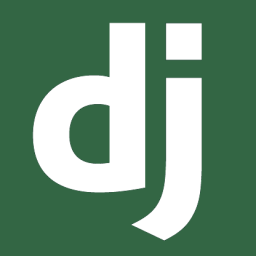 While Django makes it very simple to get an application running locally, the default configuration that's generated left untouched is unsuitible for production use. This lesson will show you how to separate your settings between development and production environments. Our Django application will be named conduit in this example, so sure to replace any references to conduit with the name of your Django application if it differs. By default, our application's settings.py contains settings that should only be used for development, such as having DEBUG set to true, and having a hard-coded string for SECRET_KEY. One possible solution is exporting these settings to environment variables to separate our development and production environments, but environment variables can be a hassle to set up in development, especially when working with a team, so it makes sense to have some variables hard-coded in development. We'll be separating our configuration in to three files: a common file for storing the settings that remain the same in both development and production, and one for each of our production and development environments that will import the common settings. To get the full working version of this guide, clone the conduit-django repository and follow the instructions in the file called README.md to get everything installed and running. I've created a Production-Settings branch of the conduit project with the changes below. This common.py file will contain the settings that will be used in both development and production. The two files we created will import variables from the common.py file. They'll also contain settings specific to each environment. If you have additional environments that you want to set specific settings for (like for running tests), you can put them in the settings folder and import the common settings as well. We also want to specify what ALLOWED_HOSTS are going to be set. Once you set DEBUG = FALSE THEN ALLOWED_HOSTS then needs to have a value for your project to run. Replace the values I've temporarily placed in here with your production host values. By default, Django will continue to look for configuration in settings.py which no longer exists, so trying to run our server or any manage.py tasks will fail. There are other areas that you may need to account for when deploying to production. The Django Documentation has a checklist of things you should also consider. With reguards to our database, we have been using the built-in db.sqlite3. Sqlite isn't considered a production solution database. You will want to upgrade to PostgreSQL or MySQL for your production version. The documentation below talk about deploying to production and setting up the production worthy database.